Please join us for the Battle of San Diego Bay 216th Anniversary, when cultures come together and history comes alive! *Advance reservations are required for entrance into Naval Base Point Loma. Reservations may be made by sending an email with a list of attendees to rsvp2hos@gmail.com. View more information about this event on this flyer. Join us for the annual December Nights event in Balboa Park! 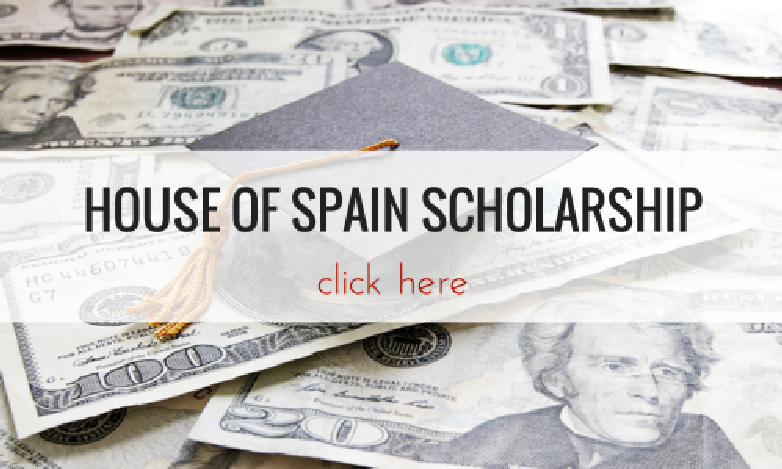 This event is presented by The House of Spain and U.S. Navy. Please join us for historical displays, reenactments, children's activities, and more! FREE ADMISSION AND PARKING, RSVP REQUIRED! PLEASE EMAIL HOSSD7@GMAIL.COM WITH A LIST OF ATTENDEES OVER 18 YEARS OLD. present. Include the age of the boy or girl. View the flyer here. 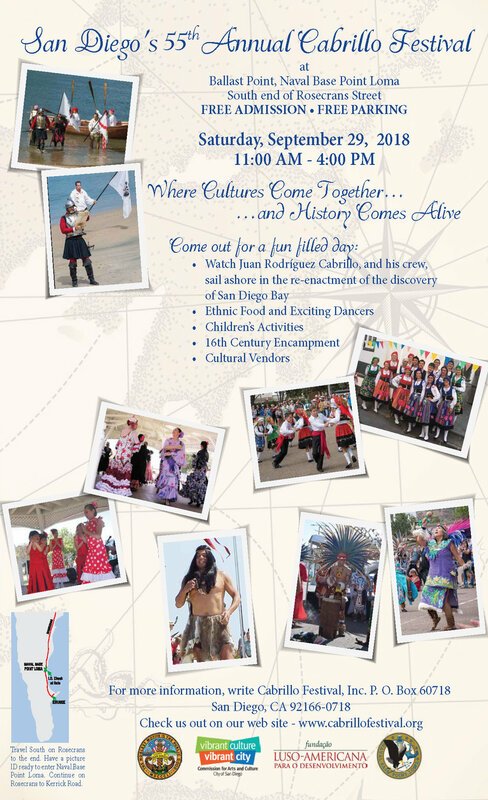 Join us for a fun filled day at the 54th Annual Cabrillo Festival! Click here for more info. Come join us for ethnic food from over 30 different countries! The House of Spain will be cooking up our paella. More info here. Join us for historical and cultural displays, Spanish dances, and lots of food! The Board of Directors of the House of Spain/Casa de España in San Diego invites you to celebrate La Pepa with a pot luck. Join us in celebrating Dia de San Valentine! The Board of Directors of the House of Spain/Casa de España in San Diego invites you to celebrate the Feast to the Three Kings! Very important that you RSVP before December 27 so that every child has a present. Include the age of the child/children. Please respond to the e-mail: rsvp2hos@gmail.com. Join us at the casita for December Nights festivities! Join us at the casita for tapas and drinks! RSVP required at rsvp2hos@gmail.com. A presentation given by Dr. Darci Strother, Professor of Spanish at California State University, San Marcos. click here for flyer and rsvp info. The Board of Directors of the House of Spain/Casa de España in San Diego invites you to celebrate Fiesta de San Juan with a pot luck.